THE LATEST: JUST ABOUT FINISHED THE DOCUMENTARY! Many moons have come and gone since I touched base with you last. Sorry about that. It is a long story with some rocky roads, but the last editing spike was driven just a couple of weeks ago, and I am now in the final stages of getting the piece checked over for “errors or omissions” by a number of good natured friends. After that it will be ready for a clean-up edit and out it will come. I am not quite sure what “out” means. CBC is still looking at it, as I have had their cooperation in providing material and they expressed an interest in broadcasting rights, so we must sort that out first. There are plenty other ways of getting the piece around. I shall let you know how that will work asap. It has been one of the great adventures of my life, putting this puppy together. It was not without its stresses and snowstorms, crashed computers and other technical roadblocks, but looking back, I am glad I stuck the course. Anyway, I am just touching base. Read on if you are new to the world of the Cape Breton traditional music and still wondering what this page is all about. In 1972, I wrote and narrated a CBC national television program called The Vanishing Cape Breton Fiddler (VCBF) as a sort of lament for what I saw as the passing of an era, and specifically the art of traditional Cape Breton fiddling and its associated culture. 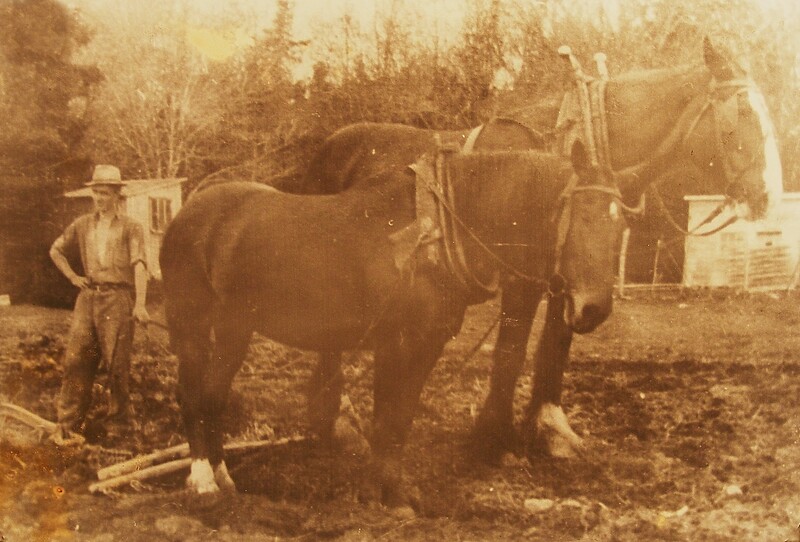 Once the lifeblood of any Cape Breton Highland Scot, (and for good reason) fiddle music had been supplanted by easy-access modern music on radio and television, and only a few young people had an interest in taking up the art. The program caused an outcry and a raging controversy in rural Cape Breton, and soon a volunteer group sprung up and the first Festival of the Hundred Fiddlers was organized. This festival was a huge success, but there were very few young people there and so the concert sparked a deep interest in the film’s thesis. What happened over the next few years was an unexpected and unparalleled revival, driven at the volunteer level, and impassioned by a sense of loss of a precious aspect of rural community life. widespread popularity of traditional Cape Breton music not only in Cape Breton but around the world, as well as creating a modern industry with many spin offs that today provides a source of income and of joy for literally thousands of Cape Breton people. My part in the revival was minor but the story of the hard work on the part of many that led to that revival, was exemplary and inspirational: it is a story well worth the telling. 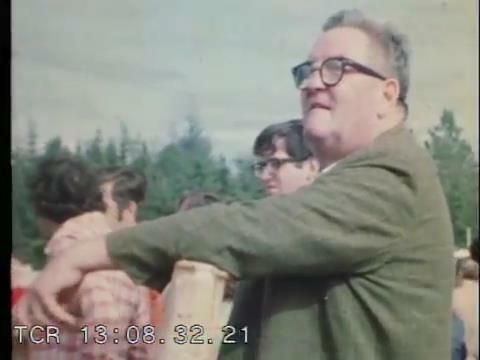 After the 1972 CBC presentation of the Vanishing Cape Breton Fiddler something very special happened in rural Cape Breton. Today, seen against the backdrop of the rest of the world, the wildly wonderful and unexpected fiddling revival that happened is both heartwarming and inspirational as well as vital to the well being of the Cape Breton people. Who were the people that brought it all back? How did it end up on the world stage? How could this little island give birth to a world class Celtic music festival? Has the music changed over time? And rather importantly, what are its effects on family and community? And what does the future hold? A detailed outline is below.These are just a few of the questions we will explore. And believe me, it is one heck of a story. 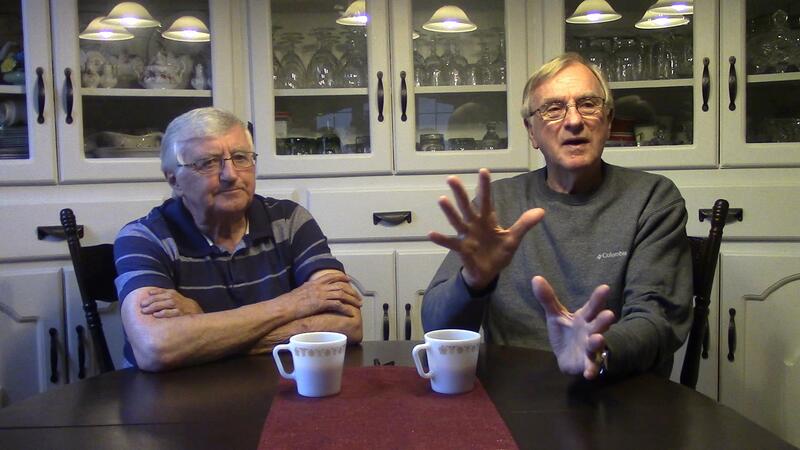 One of many highlights, and a funny one, was the story told by Father Eugene Morris and Frank MacInnis about the two months they spent on the road in C.B. looking in every kitchen and closet for fiddlers to prove the point of my thesis wrong. Fun. Another was a behind-the-scenes look at the ups and downs and the wild ride that resulted in the birth of Celtic Colours with co-founders Joella Foulds and Max MacDonald. Bob MacEachen, owner-manager of The Hawk radio station in Port Hawkesbury, shared stories of his childhood in Judique when he met renowned C.B. 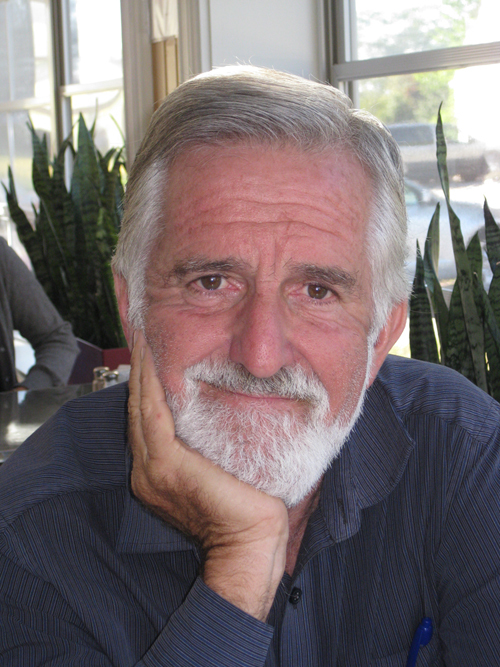 composer Dan R MacDonald. Dan R stood high in the eyes of the little boy and still does in the man Bob has become. Speaking of Dan R., we have film of Dan R. never before seen and selected excerpts that underline the level of his expertise as an original composer…and his one of a kind character. 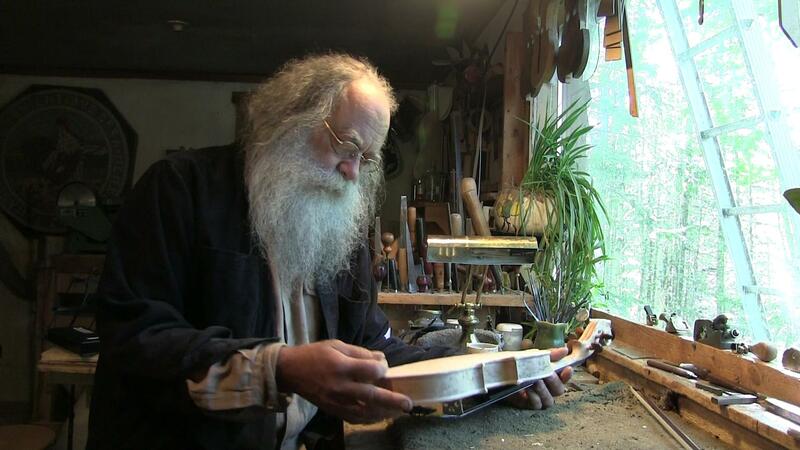 We’ll visit the mountain top workshop of Otis Thomas, and get a quick look at where and how hand made violins are crafted. 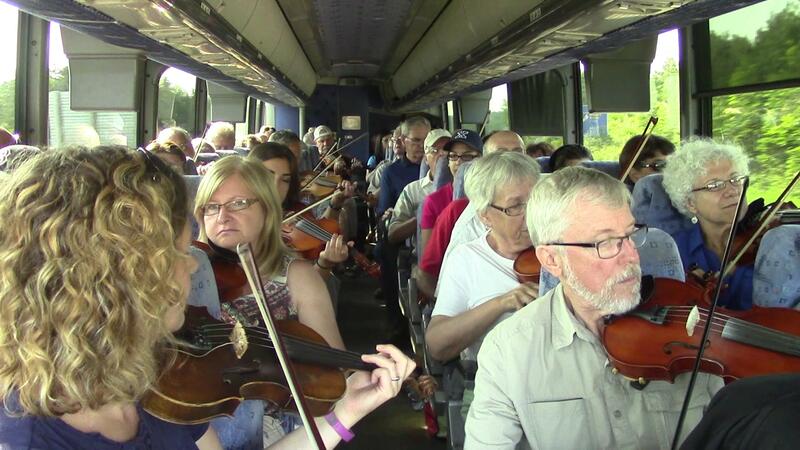 And we will see at a bus full of Cape Breton fiddlers and what they do on a trip from Cape Breton to Boston. 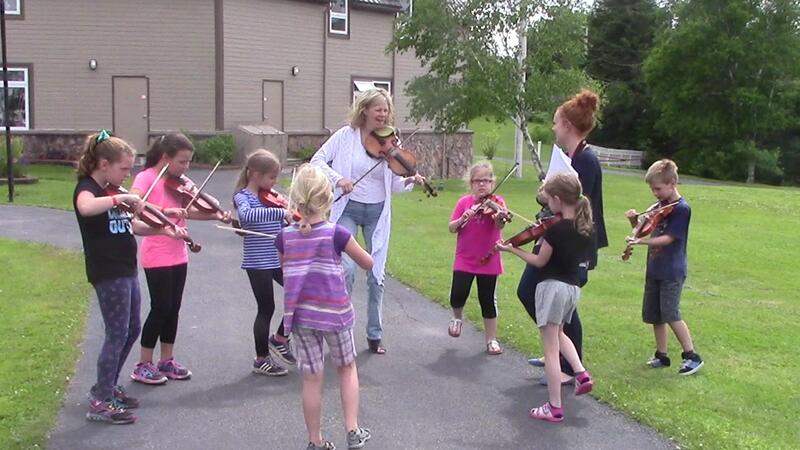 We’ll visit a young teacher and her class in Mabou and hear her thoughts on the future of Cape Breton fiddle music. 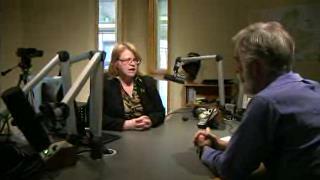 Wendy Bergfeldt, CBC radio host, did an academic thesis on the Cape Breton Fiddler and had deep and memorable insights about just how fortunate Cape Bretoners are to have the culture they do. Natalie MacMaster dug deep into the heartwarming story of her childhood and shared her thoughts on the future of C.B. traditional music. She led these kids around at the Gaelic College like a Celtic Pied Piper. And we will see film of the young Rankin family when they were little (very musical!) 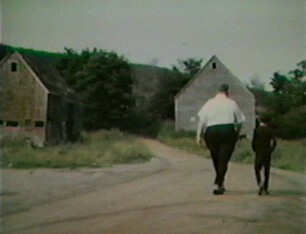 children, filmed in Mabou in the early seventies shortly after The Vanishing Cape Breton Fiddler was broadcast. And Father Francis Cameron shared heartwarming stories of his own childhood and talked of how fiddle music is a gift with spiritual attributes, so much so he often plays his fiddle during his church service. Ashley MacIsaac, one of the finest traditional players when he sets his mind to it, speculated on what Cape Breton might be like with out its beloved fiddles and culture. This guy has some very insightful things to say. And, and and…we have shot a great deal more…(detail in our next update)…and more is being added every day. HERE IS MORE DETAIL FOR THOSE WHO WISH IT…..
Purpose: This film will be a celebration of the dramatic, inspirational story of the 40 year volunteer effort that led to the revival based not only on a passion for traditional music and culture, but on entirely new ways of thinking: an unfolding that appealed not only to older audiences, but one that attracted, in C.B. the vital interest of young people, and a passion for what became a new cultural industry that is loved not only at home but around the world. Hooray! How could such a small place make such a big impact on such a wide world? All things considered, this is a story that says “thanks” to all who helped bring the culture back: it is a story inspirational to all rural Nova Scotians, one of deep cultural significance that is a celebration of the Celtic bonds of family and community that can help young and old alike shepherd the Cape Breton Fiddler and a unique and special quality of life into the future. It is a story of interest to those who might visit C.B., showcasing the beauty of the island countryside, and the hearts of its people. It is a story that will help ensure that Cape Breton remains the strong and sparkling fiber in the fabric of Canada that it is today. And this is roughly what the show will cover…. This outline, written almost a year ago, will no doubt change considerably based on what research has uncovered over the past year. NOTE: This is a story line only, not a narration: the story itself will be told by the people themselves who were involved in the revival, or musicians young and old who were affected by its unfolding. 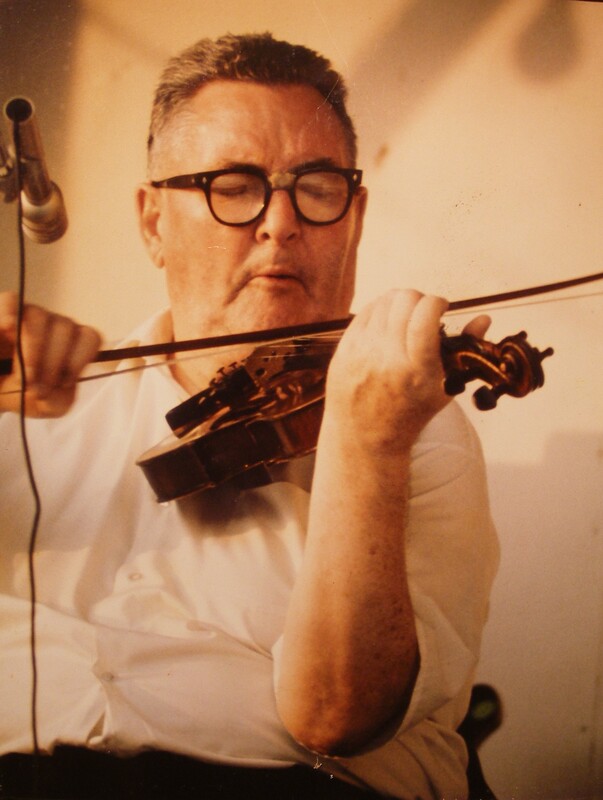 1 Opening: We hear about a time (1972) when traditional Cape Breton fiddling was in danger of disappearing. We see brief clips from the Vanishing Cape Breton Fiddler (VCBF) and hear about the theory that there were no young people to carry on the tradition and we hear of the controversy that erupted. We hear the story of two men in their cars who traveled the roads of Cape Breton looking for every kitchen and closet fiddler they could find, to prove the thesis of the program wrong. 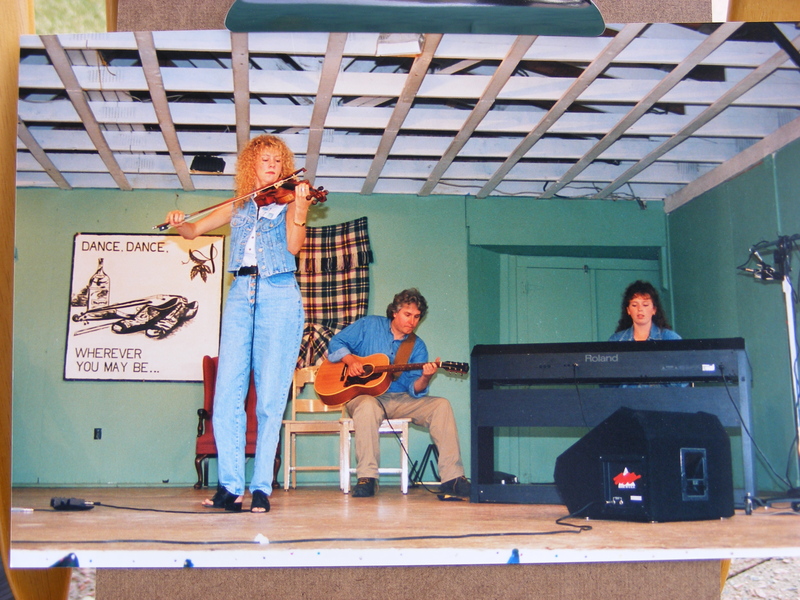 This led to the first Festival of the Hundred Fiddlers in Glendale. There being only a few young people at that concert, a committee was formed and over the years, a contagious enthusiasm spread across the island. Thus did the people of Cape Breton pick up their phones and their fiddles, tune their pianos and put on their dancing shoes. At length, and with a tremendous effort, the entire Island awakened to the possibility of loss of their beloved culture, and over time they brought about a revival that provided an unexpected economic boost to a people whose industries of fishing, farming and steel making had fallen out of step with the times: people who discovered they could make a living doing something that they love. What follows is the story of how that came to pass. 2 Old Scottish Origins: This tremendous wave of revival was unheard of and certainly not predicted. It was, in fact, a surprise to everyone. But why? Why did it ever happen here? To answer that question, one must consider the deep rooted character of rural Cape Bretoners, these people who settled in an untamed land. For the echo of their early hardships and the ways of their Celtic ancestors still resounds in their descendants to this day. We hear of the ancient Celtic values of family, community and hospitality that still hold sway, and we follow the early settlers across the ocean and we see the remote, desolate and uncleared land that, like it or not, was to be their new home. 3 Hard Life in the New World: We hear of the difficulties inherent in day to day survival in the settlers’ new home, and what was involved in wresting a living from an untamed land. 5 The Unfolding Uniqueness of Cape Breton Music: Like the settlers’ crops, we hear, the music of the old country took root and grew, changing in character at times under the pen of Cape Breton’s emerging composers, and under the influence of the difficult lives they were living. Change was not surprising and goes on to this day. But change was one thing: the threat of disappearance was quite another. 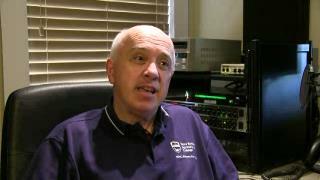 6 The Threat of Loss: From the original VCBF video we hear several older folk describe their thoughts about the demise of the music. And several who insist vehemently it would never die. Herein lies the deep tension of this story. We explore the reasoning on both sides through the voices of characters who were there. But the writing, we hear, was on the wall. Given the depth of their passion for the music, the threat of this loss cut deeply. 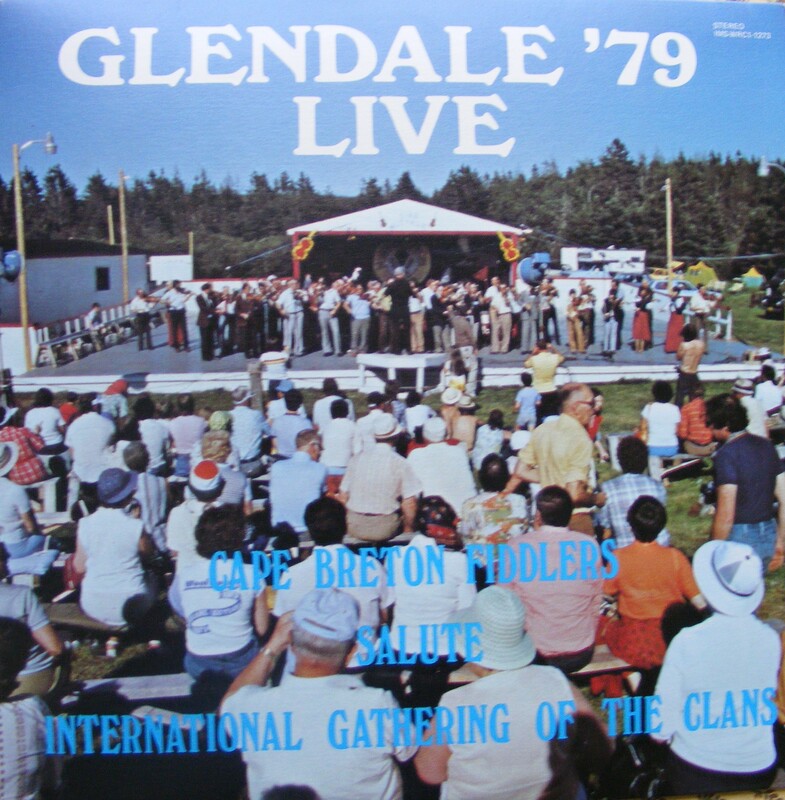 7 A Typical 1972 Cape Breton Village: Here we see the world of rural Cape Breton in 1972 into which this film was dropped: one traditionally and preferentially not very far removed from the world of Cape Breton’s first settlers, with a fiddle in every second house. 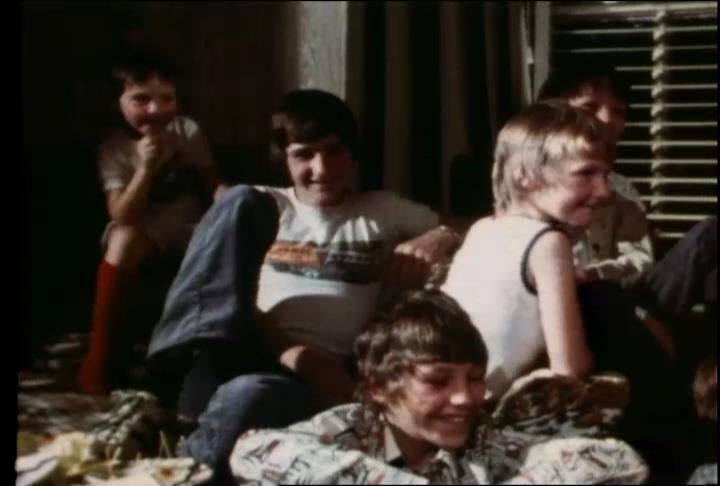 We see old footage, never before viewed of the very young Rankin Family performing and their uncle, the legendary composer, Dan R. MacDonald, in their homes. And we visit an old couple with Dan R. whose lives were unchanged since the twenties. This is the world where the richness of the culture was still evident but barely holding on. 8 The V.C.B.F. Airs and the Revival Begins: This was the world that was rudely awakened by the VCBF film. (We hear comments). We hear from a member of the first committee that outlines the approach to a revival and the passion that drove them, and just how dear the music was to them and why. And of the adventure of finding fiddlers to prove the program wrong. Now the writing was on the wall. 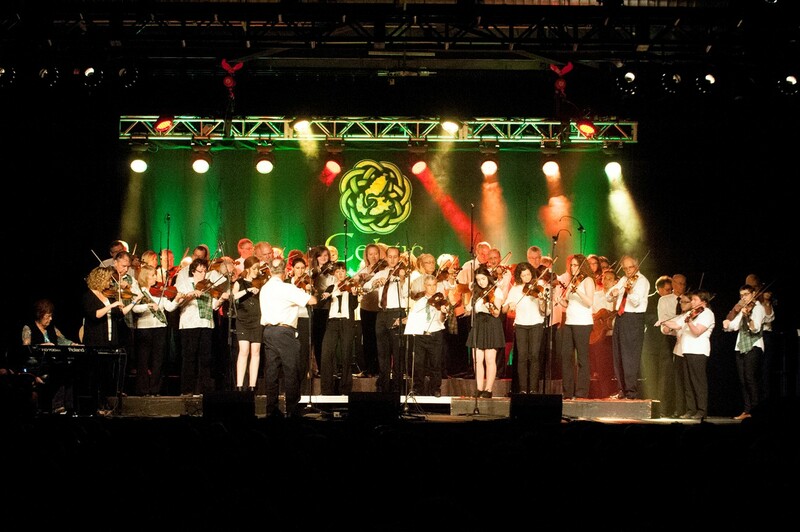 10 Establishment of the Fiddlers’ Association: Through the voices of those who were there, we follow the energy wave through the formal establishment of the Cape Breton Fiddlers’ Association, and its mandate. 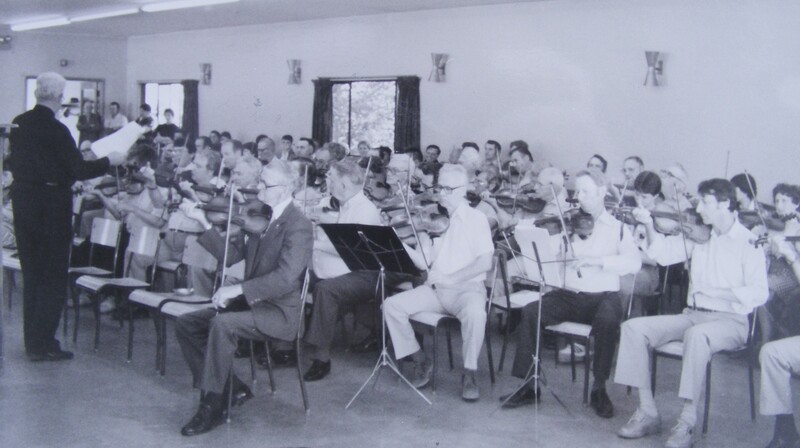 We see pics of early practice sessions and we meet some of the original fiddlers. We hear of committees formed to promote Gaelic speaking, piano, piping, stepdancing and original Cape Breton culture in general. A great deal of work and devotion went into making all this happen, we hear, driven by the deep rooted passion for what these people held dear. 11 The Music Begins to Gain Popularity in Cape Breton: We follow the slow spread of the alluring music across the island during the seventies and its gaining of esteem and popularity. At length it came to be regarded as an art form with deep roots and complexity, Soon it began to be of interest to tourists who would take their newfound passion home with them and share it with friends…which foretold the potential of an industry to come. 12 Scottish Concerts and Dances: This influx, of course, helped encourage the proliferation of the traditional old Scottish concerts and dances, which both helped to keep the tradition alive. Again through the efforts of volunteers, the music spread. The concerts and dances proved not only to be a training ground for the talent that was up and coming, but a force in maintaining the bonds of community, enhancing the old Celtic characteristics of cordiality and mutual support you will find in Cape Breton to this day. 13. The complexity of the music: It is, we hear, perhaps a misnomer to call C.B. Indigenous music “fiddling.” For fiddling around it is not. (we see closeups of complex musical notations and of flying fingers over a fretboard in a series of very tight close ups, and a bow that flies across strings with unfathomable speed and precision.) Besides the depth of its history, C.B. music is, rather, marked by any number of levels of complexity. There are also matters of “soul music” that must be considered. 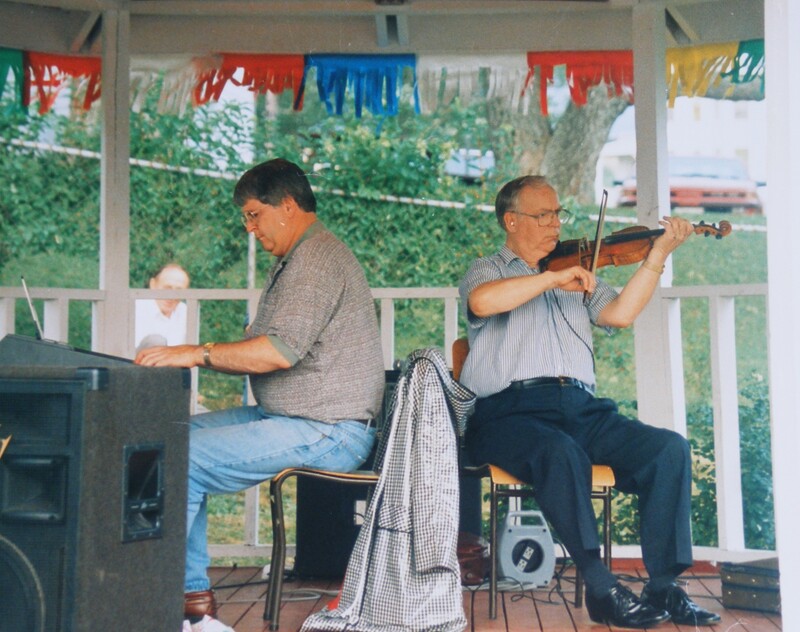 Cape Breton’s best fiddlers, as far back as anyone can remember have been people who played “from the heart.” Such is what it is often called. This is best demonstrated in slow airs where enunciation and accent are paramount, as they reach into the deeper recesses of the soul of the listener, plucking the strings of pathos and bringing a quiet sense of uplift to the senses. 14 Celtic Music Gains a Wider Audience: Now in the eighties new and original talent began to blossom, hitting its stride in the nineties, as younger folk began to polish their skills and take their talents to unprecedented heights and in new directions. (can we get footage of eighties Rankins, MacNeils etc.) We explore these (including addition of new instruments and new combinations: new tempos and dance steps) and meet some of the better known world travelers involved and hear of their journeys, their inspiration and their rise to fame. 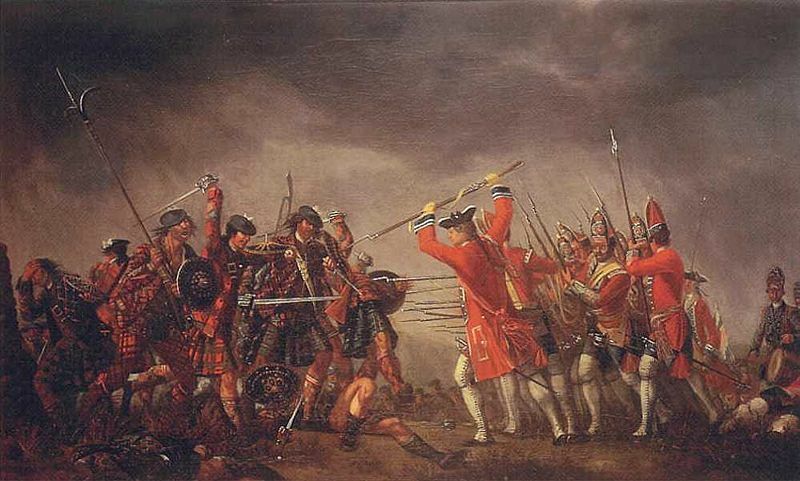 We hear how the Celtic musical and cultural presence in Nova Scotia had become so strong that frequent trips were made to Scotland, to enter into a reciprocal cultural exchange, this to the delight of those on both sides of the water. 15 Cultural Spin Offs: As the wave continued to build, we hear, young people in droves began to take lessons. Books were written. Tourists in larger numbers began to appear. 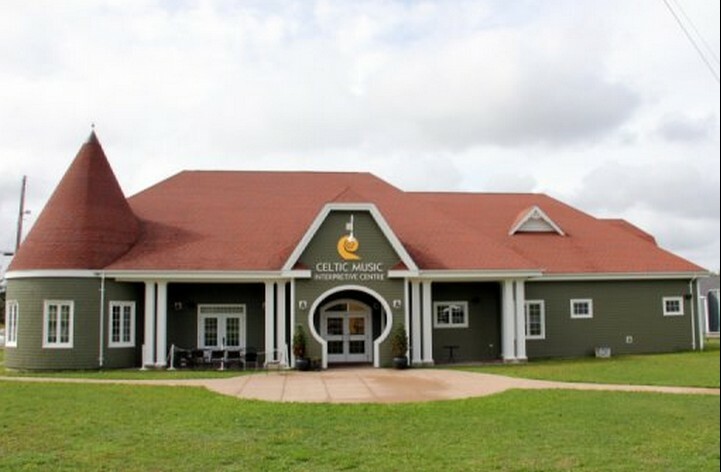 A Celtic Music Interpretive Centre and archive was created along with demonstrations and lessons. 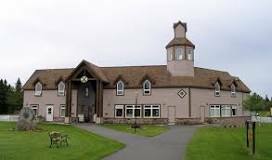 (We see a montage) The Iona Highland Village was upgraded as was the Cape Breton Gaelic College. (Montages again) There are now hundreds if not thousands making all or part of a living through their involvement in the vibrant culture of Cape Breton we hear. (we see CD covers and books individually and by the rackfull, all of this driven by the age old independent spirit of the modern day Celt. 16 Celtic Colours: And of course, there is the wildly successful Celtic Colours, the Crown Jewel of the cultural revival. We hear from Joella and/or Max how the whole idea got airborn: the trials, the crazy times… as the concerts evolved and grew out of the newfound enthusiasm for indigenous Celtic music, and the embracing of talent from not only Scottish but local Irish, French and MicMac cultures, as well as cultures worldwide. (offeratory?) We see clips of various acts in a musical montage as we hear something of the originality of the thinking that led to its establishment. 17 The Cape Breton of Today: Enriched by its music and culture, Cape Breton today remains a unique, strong and sparkling fiber in the fabric that is Canada, firmly attached to its roots of community and hospitality and good cheer. This uniqueness does not go unnoticed by the people who visit. (We meet several who comment on uniqueness, hospitality, depth of the music, etc.) and we again explore the bond between the music and the character of the people of Cape Breton and the mystical allure is has over people who come to visit. Not a contrived thing, this open hearted allure comes naturally to the people of C.B. Do our fiddling ambassadors take this subtle message of community and of hope and better times out into a worried world when they travel? There is much more than mere entertainment being spread by Cape Breton’s ambassadors when they travel around the world these days. 18 The New Celtic Music: for better? Or for worse? Will there come a day when it all changes? That is a big question. Maybe it already has. Some are comfortable with this, some not. Traditionally, looking back over the past two hundred years, Celtic music has always changed with the times and personal experience. We explore this phenomenon and examine new approaches to piano, guitar and various combinations of instruments, and various fiddle playing styles, traditional and modern. We explore the evolution of the new and innovative strains of traditional music, where they have gone and where they might take us. We examine the role of young people past and present, the allure of packaged online entertainment and what the future might hold, including, perhaps, economic and social pressures, new programs in the schools, and the determination of a number of people to keep the art and the culture alive. 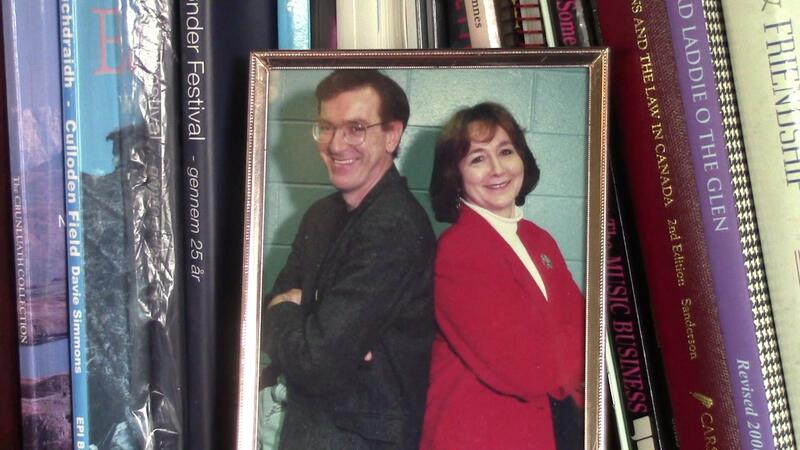 19 Worries about a new “Disappearance.” One does not have to go very far in Cape Breton today to hear expressions of concern about the seductive lure of social media and the failure of younger people to take an interest in the music of their people. But then again, one does not have to go very far to hear the opposite point of view…just as it was in 1972. So who is right? 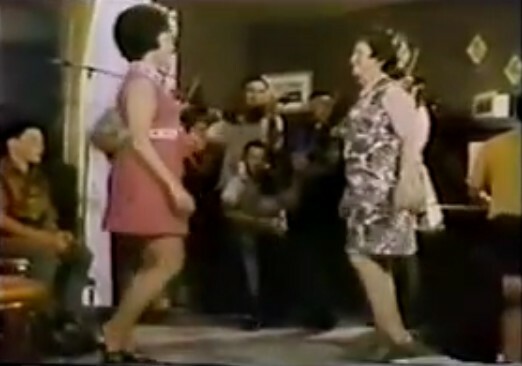 (run clips similar to original VCBF asking the same question and answers both sides.) Again, the answer might be the same a the one at the end of the original film (Run original VCBF clip: Only time will tell.) But there are many factors to be considered, including the influence of our times and the exodus of young people, technology.etc. 20 Closing: So we can see much has been accomplished since 1972,much worth celebrating. But how much will endure, is still the question many ask. One can look askance at the changing times, and worry about the effects of social media, of world economic pressures, of the changing profiles of rural communities and a whole lot of other things. 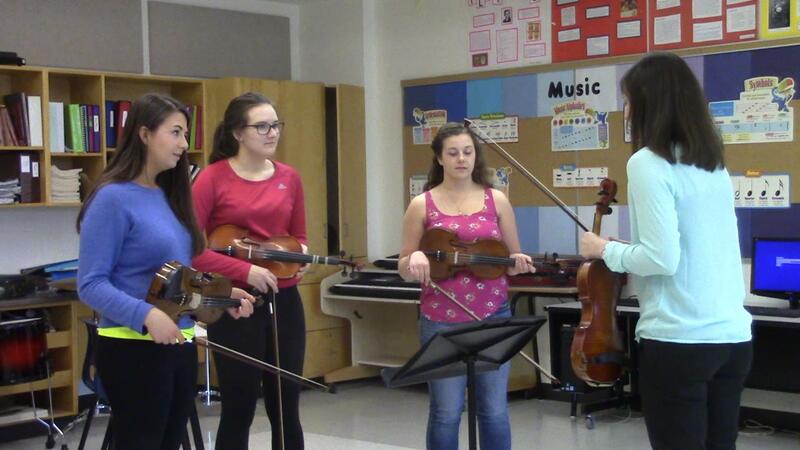 But one can also look at the whole picture of the future of the Cape Breton Fiddler in a different way: we meet a young school teacher who teaches a number of young people violin (we hear her description of the depth of their passion). And we hear of how Cape Breton music has spread around the world online. As well, we explore online teaching with a younger person who has students in many parts of the world. We see a sample program online. And on it goes: here we find a Cape Breton Fiddler playing in Pakistan. One in Japan. A group who gather and play together in California (we see clips of all of these.) In Boston there are many traditional C.B. fiddlers. And here, closer to home there are many who play in Halifax and other Maritime centres. And wherever you are in the world watching this documentary, there is probably a Cape Breton fiddler playing somewhere hear you. So here we see that much of what used to happen in the kitchens and church halls now happens on line on the world stage. But will the Cape Breton Fiddler live on? This is a matter for exploration, but given the host of performers who are now playing, there is good reason to think the future might bode well for traditional and new Cape Breton music.